Admit it; we all like to take a break every now and then. For many people, this is never more important than in the corporate world, as often, the pressures involved on a day to day job are just that little bit more intense. But is it possible to take a break from the day-to-day grind, within the corporate world? Yes, it is. That is where corporate parties come into the picture, giving you a chance to be involved with the same people from work but in a, completely, different environment. There’s no better time to hold corporate events than during the holiday season, with offices winding down and client calls becoming less frequent as we edge ever closer to Christmas. If you’re in corporate management and are looking at booking your Christmas event, then it’s not too late! Our events not only help you all wind down and celebrate another year well done, but they help bring the team together, too. The idea of holding corporate Christmas events lies well with the fact that it symbolises appreciation for the employees’ hard work and determination, throughout the year at the one time of year when it's easier to let your hair down. Employees feel that their efforts are valued and recognised, which inspires them to set even higher goals and standards for themselves for the upcoming year. You will be surprised of what simple acts of appreciation can mean for an individual within your team. With so many different parties on the horizon this holiday season, give your employees something a little different? Host an awards ceremony to showcase and recognise the hard work and talent within your business. Awards give recognition for all the efforts put in throughout the year, but they also give rise to friendly competition amongst the employees, giving one last push before the year is out. Imagine sitting around the dinner table at a Christmas party with your entire family. Nothing much can top that, right? The sense of cohesion and unity that such an event infuses is unparalleled, so why not try and harness this within the workplace. Holding corporate Christmas events and entertainment gives employees a chance to interact and open up with each other, about something other than the daily grind. Sitting together at the dinner table on a corporate dinner has the potential to make your employees into so much more than a team—a family. Dressing smartly in a freshly pressed suit to work is a great way of ensuring staff are in the right frame of mind for big meetings and finalizing deals, but in the lead-up to the holiday season, loosening up on the dress code is a quick and easy way to make employees feel more Christmassy and open to conversations that wouldn't usually happen in the office. 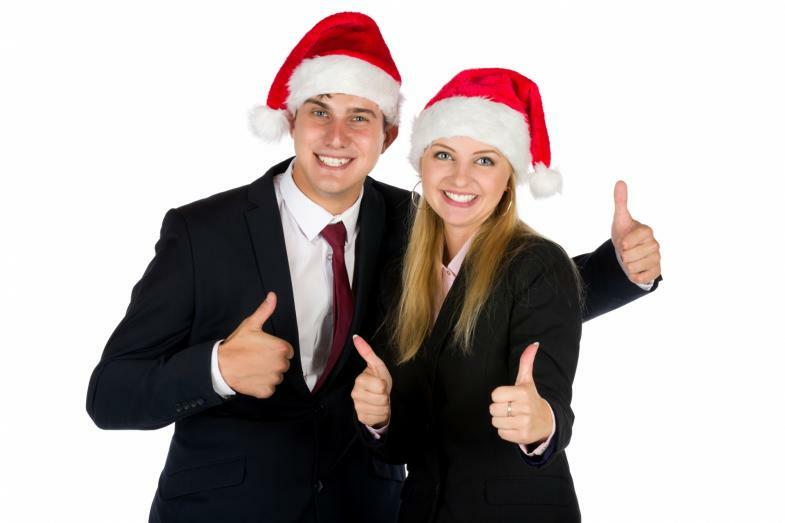 By contrast, holding a corporate Christmas event give your employees an opportunity to dress up in the finest for one night only and show off their personality in true style in front of their peers. Among the many popular forms of corporate Christmas, events, are casino nights and game shows. Such events offer friendly competition and a world of fun – which is important for employees at the end of a hard year. They give everyone a chance to be equal, for one night, and quit the whole boss-employee routine – even if the whole thing is designed to help bring the team together. Considering the benefits that such events and parties have got to offer, it’s no wonder that they are so popular, nowadays. Have you booked your event yet? If not, then there’s still time to have the time of your life—with your employees, of course. Want to know more? Give us a call on 03300 040903 today.